Fatgirl Hedonist: STMC Pig Out Ticket GIVEAWAY! STMC Pig Out Ticket GIVEAWAY! Let's start the new year with some free stuff! 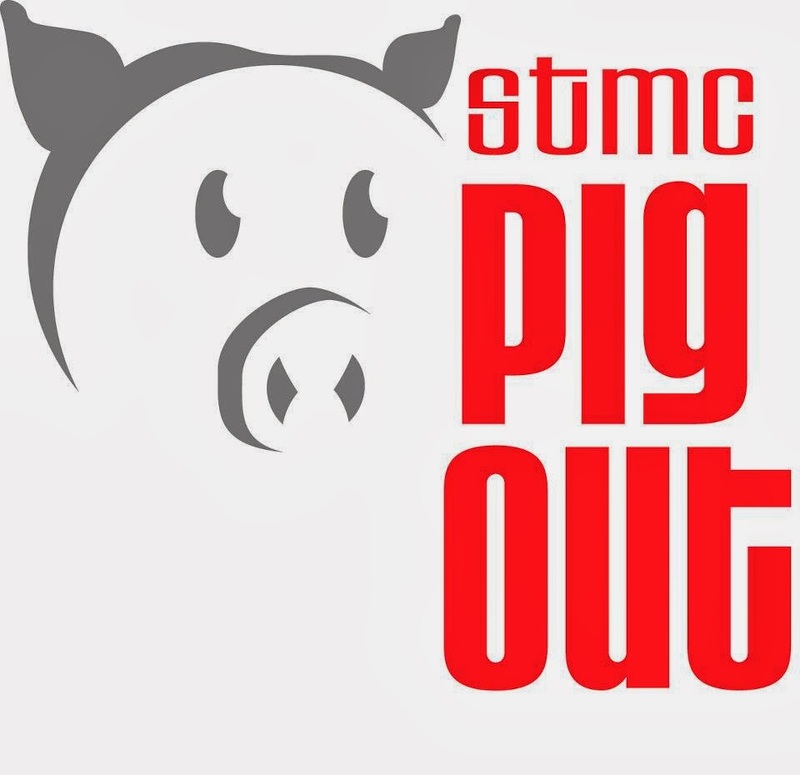 St. Timothy's Catholic Church is hosting their 6th annual charity pig roast. As a hedonist, I'm not big on organized religion, but I'm very big on charity and puerco asado so this event is right up my alley. Fifteen teams will be competing and live roasting their pigs for bragging rights the best pig title. This family friendly affair will have live dj's, bounce houses for the kids and best of all, unlimited samples of lechon from all the pig out competitors. There will also be other types of food and desserts available for sale. VIP ticket holders will have access to the booze tent (this is not the official name!) where beer from Wynwood Brewery will be flowing along with rum from the Miami Club Rum and cigars from Tight Ashes. General Admission for this event is $10, VIP is going for $20. Best part is, your hard earned money will be going towards great causes such as, Feeding South Florida. Get more 411 on this event here. Only one?!?! I going with a thick cut pork chop and applesauce....Peter Brady would be proud! Does un pan con lechon count as a dish? Bacon wrapped pork loins cooked to perfection in the oven with wine & lots of garlic! Que Rico!!! Thick cut pork chops grilled with some garlic mashed potatoes and gravy on the side! I would love to go and eat mass quantities of pork! Pick me! Fried chicharron! Even better with a lemonade! Crispy pig ears from michael's genuine!